.. where we all go to dream of grass and prairies. We'll follow a journey of a grass seed, tiny cute little thingie, watch it grow and struggle, until it grows taller than a man -- and all that within just one year. So delicate, so strong. So understated. How many people actually know grass blooms? This prairie kaleidoscope, or prairiescope, compiles information on prairies in midwest, describes native and most common prairie plants and wildflowers, including the dangerous poison ivy. You've heard the rhyme "Leaves of three, let it be" or "Leaflets three, let it be", but can you tell poison ivy from its look-alikes? 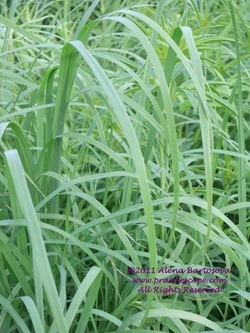 It also shows the beauty of grass and its flowers, and shares interesting tidbits about prairie and things related. You will learn about bees and other pollinators, predatory insects, what makes prairie such an interesting and special place, and many other details as we follow variety of topics. Enjoy reading through these pages, look at pictures, learn to identify plants, and find prairie remnants in your area.All photos on this site are presented in the original form with only size adjusted to suit the online world. Nature is beautiful enough and does not need photoshopping. This site was launched in June 2011 to celebrate love ... love of nature, love of prairies, love of grass, love of humanity. You have reached a prairiedise. Spring is an exciting time on the prairie, a time of constant change. One week it looks like nothing is happening and a next week hyacinths will be in full bloom ... and shooting stars ... and then grass starts shooting through the old layers and by June it's knee-high. 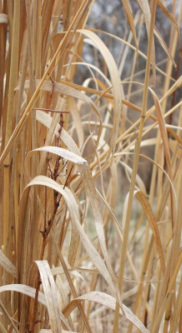 Big bluestem and Indian grass are typical for tall grass prairie. At this stage it's hard to distinguish between the two. It's so great to walk through prairie at this time, when white flowers of foxglove penstemon (beardtongue) and white indigo dominate the greenery.